Every so often, we like to take a nearly two hour drive to go for lunch at our favourite chippy (it does vegan battered sausage!!) in Llandudno and to make the trip just that little bit more worth while, we like to get a hike in there too. And a bit of urban wandering, of course. Ah OK, so we don’t really just make a special trip to the Great Orme and Llandudo town just for the chippy (although it is a HUGE incentive), there is also the fun of finding new challenging routes up the Orme, exploring streets wide and narrow and then there’s the Mostyn Gallery which we always have to visit while digesting our chippy feast. A bit of excitement was in the air while we got all our hiking bits ready and our trusty flask of tea before heading to pump up the car tyre and grab some petrol ready for our trip. We were fully stocked with sucky sweets (or Ricola if we’re being specific… and yes we are that kind of couple!) so we had everything we needed for the journey. It took a bit longer than expected as it seemed like everyone and their caravan were on their way to a holiday in Wales – whoops! So we had a few slow moment and the whole journey ended up towards the three-hour rather than the two. 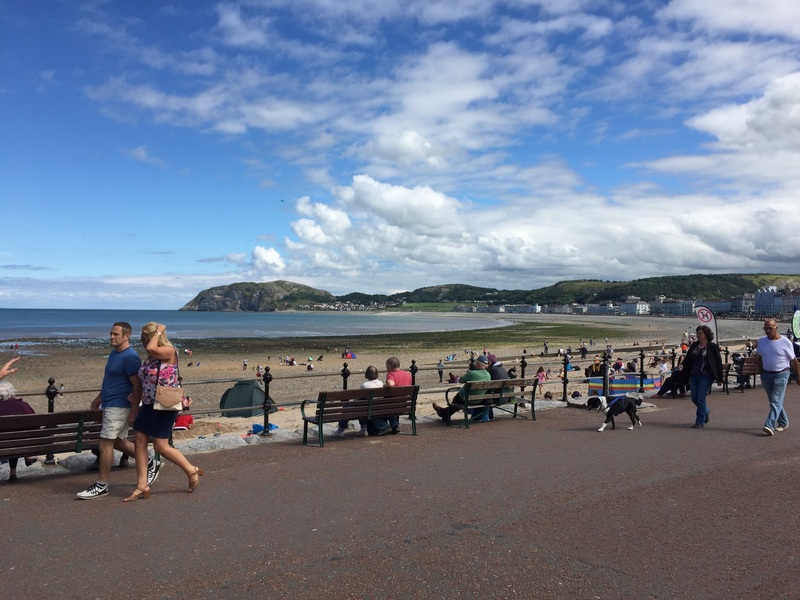 And then it seemed that everyone who wasn’t caravan or camping had come to Llandudno for the day! The car park we usually use (there is never anyone in it and more often than not the parking meter is broken, so free parking!) 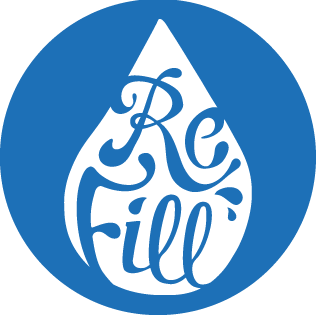 was FULL! Then every other one we hunted out was jammed to the railings too. Our last resort (which we half expected to have to pay a fortune for) was the station which, to our utter surprise was really quiet. Close to everything we wanted. AND it was only £2 for the day! WIN! Oh yeah and after the three-hour drive, having free toilets before going up the Orme was a blessing. 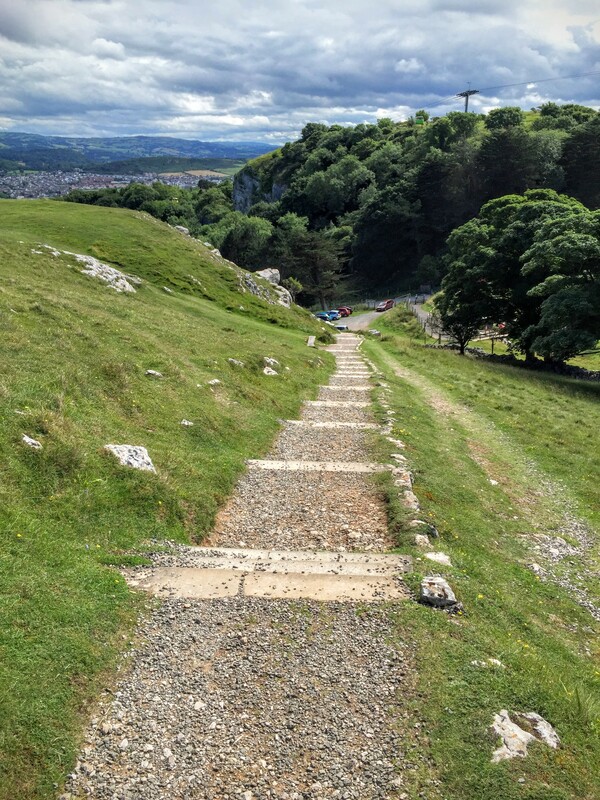 So anyway, we headed up to the Great Orme starting at the steps and working our way across and around – we never really plan the route as it works best for us to see where the other people are, what we want to look at and where takes our fancy. 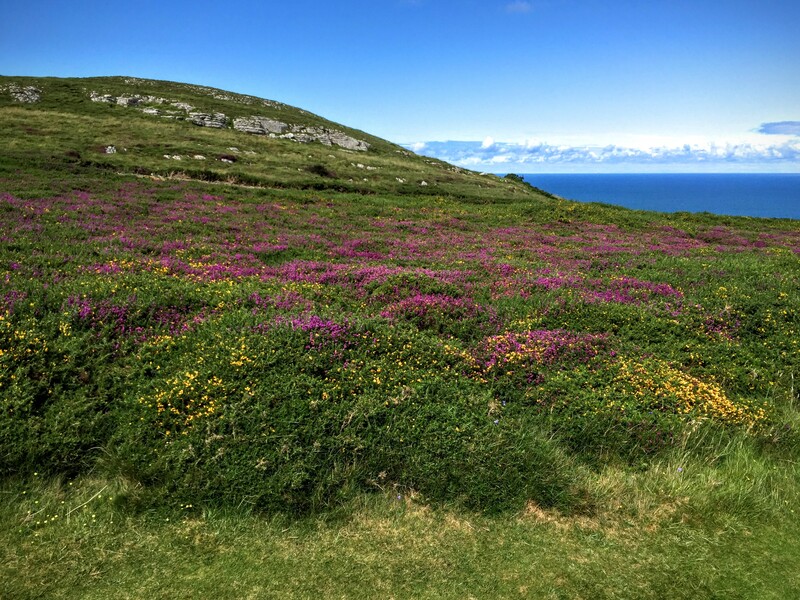 We opted this time to wander through the Happy Valley then take the routes right through the gorgeous purple heather, minding not to get prickled by the Gorse bushes. 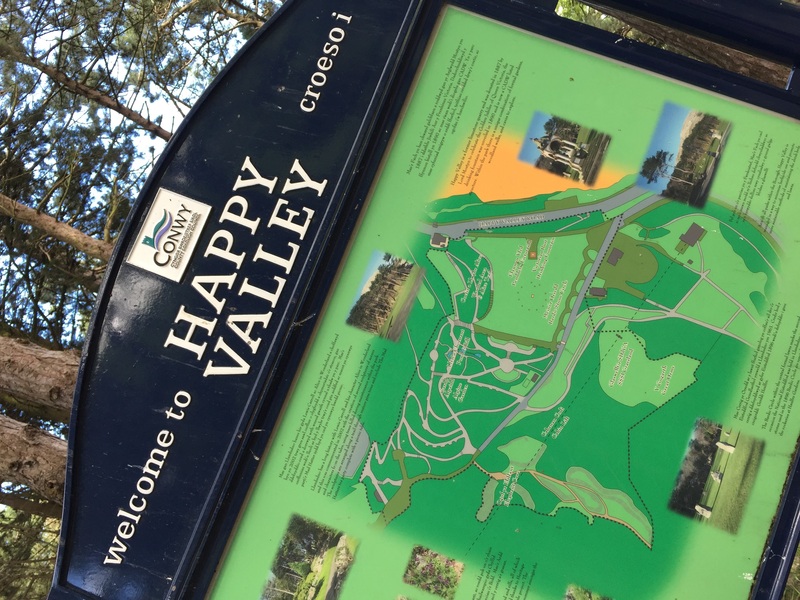 If you’re in Llandudno, it is definitely worth visiting the Happy Valley, even if you’re not planning on carrying on through to go up the Orme. 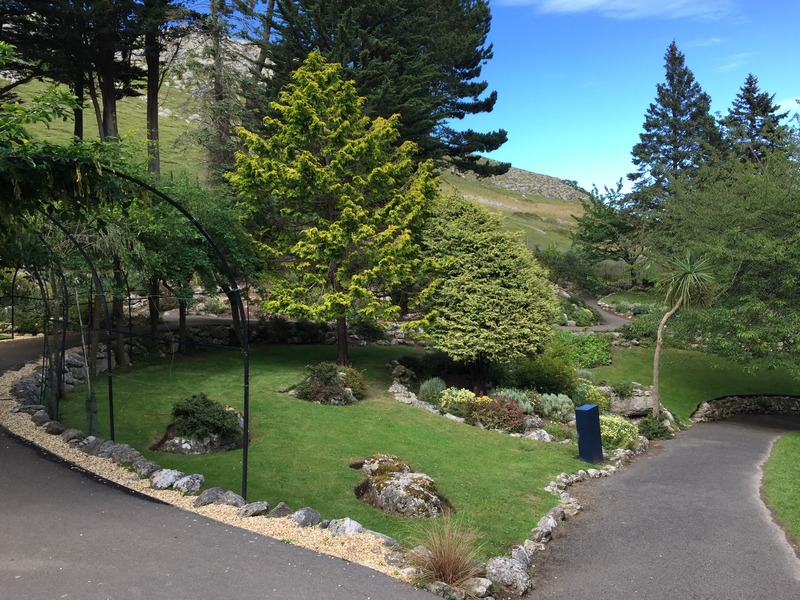 The garden is part of a quarry and was gifted by Lord Mostyn. 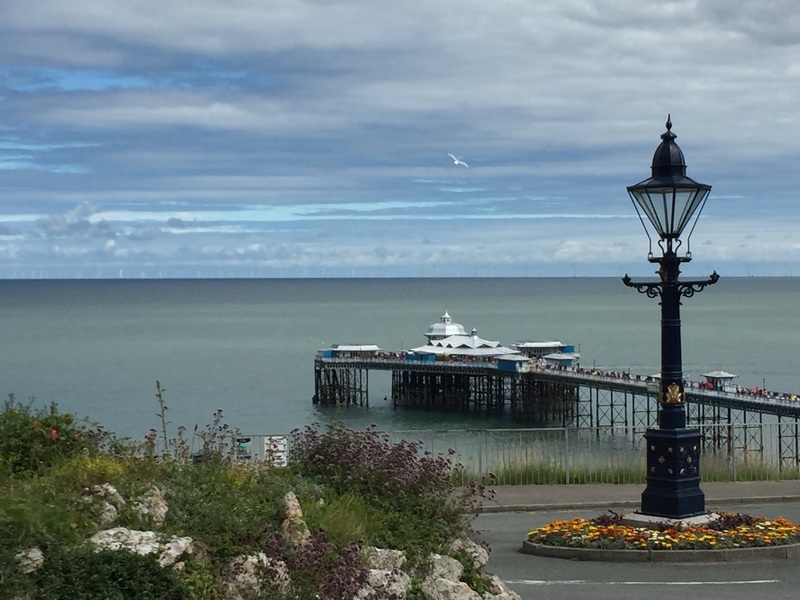 It is full of gorgeous plants and flowers and is a great place to grab some pictures of the Pier too. The great thing is that you can find more than enough going on here to keep you occupied for some time – there is also the mines and a cafe at the summit if that’s your thing (we are flask people) and the signs are pretty good, although I urge you to explore and adventure as it makes it much more exciting. 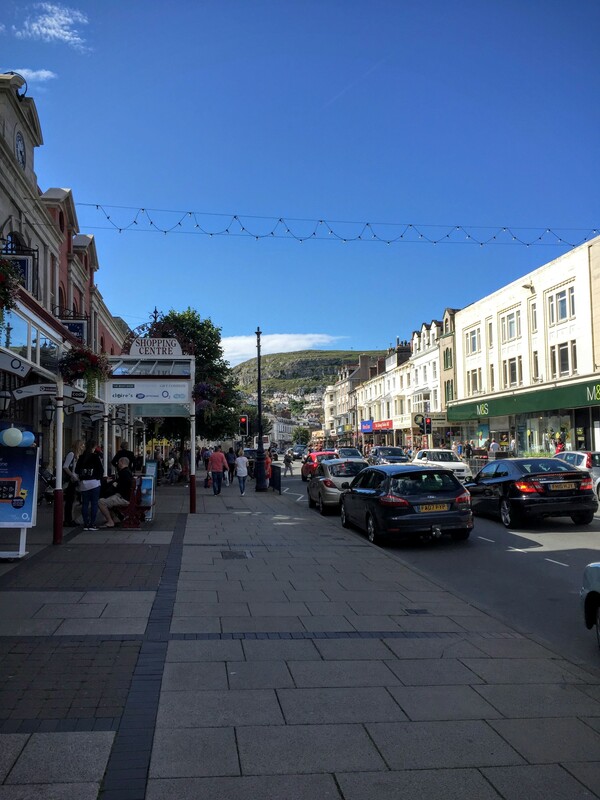 Despite there being a load of people in Llandudno that day, we found it remarkably easy to stay fairly secluded on our hike up the hill. There are tonnes of routes to get you to the top, so don’t be scared to choose a different route to the other people exploring there. You can easily get back on track in you find yourself on the other side and unable to see the summit! Don’t let the previous pictures fool you into thinking it was a calm and still day! We had to battle some pretty hard winds on the way up, the kinds of winds that dry your teeth and mouth out as well as chucking your hair all over the place. 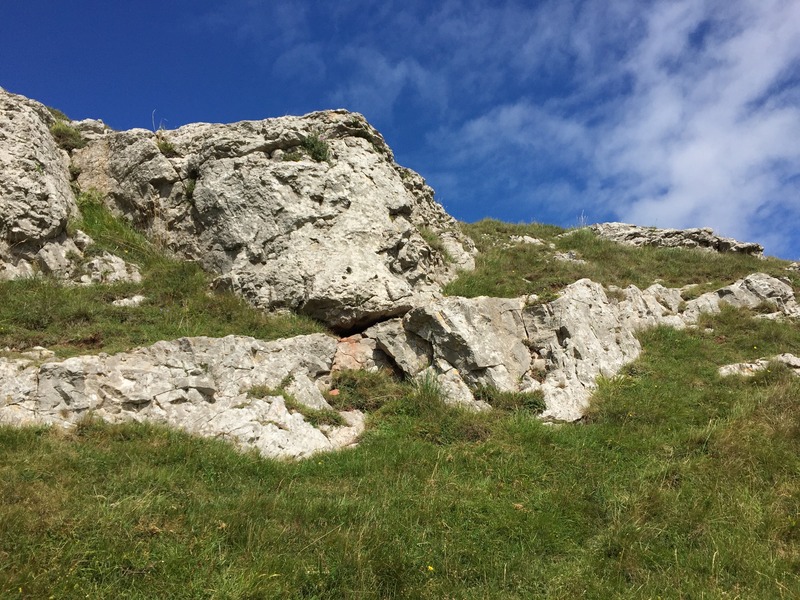 Here is a cheeky video from the to of the Great Orme – please be aware that I am just getting used to my selfie stick/monopod so will probably speak in future videos once I know I’m not going to knock myself or anyone else out with the thing!! As you will hear, it was pretty blowy! All in all, it wasn’t a bad hike really. We took some detours to explore sections we haven’t seen yet and also took the steepest of the grass routes to the summit (think heels coming up inside of boots, kind of steep) and still managed to do the whole route in just a fraction over 2 hours fr the whole 4.59 route. If you’re not quite up for the hike up the hill yet, there are some cable cars (although, beware of the queues) and the prom if you want to take it easy. 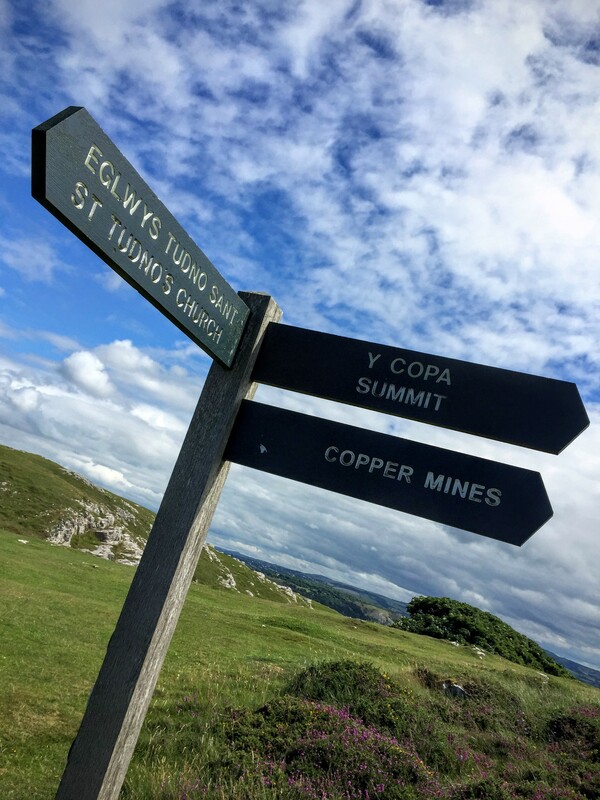 Of course, you can always browse your way through town as that is just as fun for a trip as the Great Orme hike – hence we like to combine the lot of it! We departed the Orme for lunch at our Barnacles and a browse round Mostyn Gallery. Lunch was A-MAZING as usual (plus they give members of the Vegetarian Society 10% off when you show your card – winner!) but unfortunately we missed the gallery this time as they shut at 4pm on a Saturday. Any excuse for another visit though. 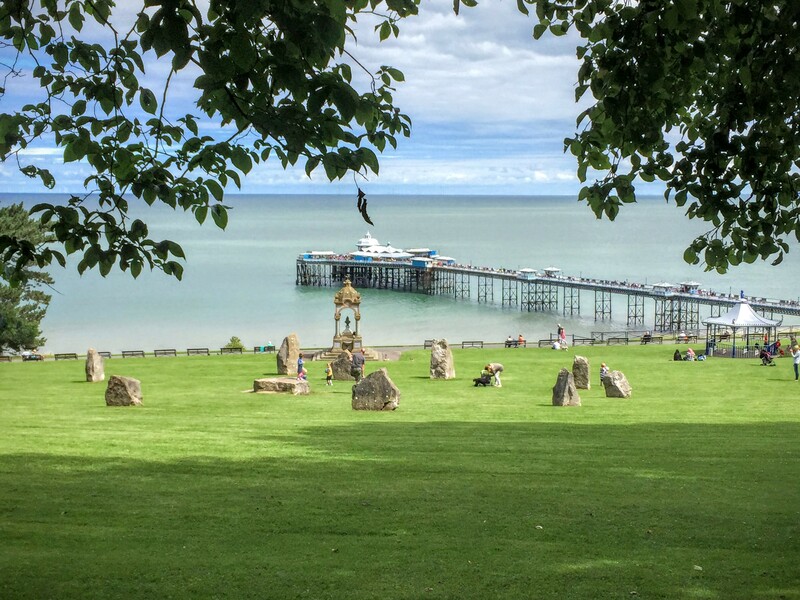 Especially as I have discovered some fun walks for the other side of Llandudno. A quick walk through town and browse of the many outdoorsey shops then back to the car for a quick cuppa and then drive home. The drive home was bliss, well as bliss as it can be doing a load of motorway driving, and we came home well under the two hours. I had even prepared our chilli tea in the slow cooker so we had it easy on return – and the smell to arrive back to is divine!